Includes 3 pre-washed 47” x 47” (120cm x 120cm) viscose made from bamboo. 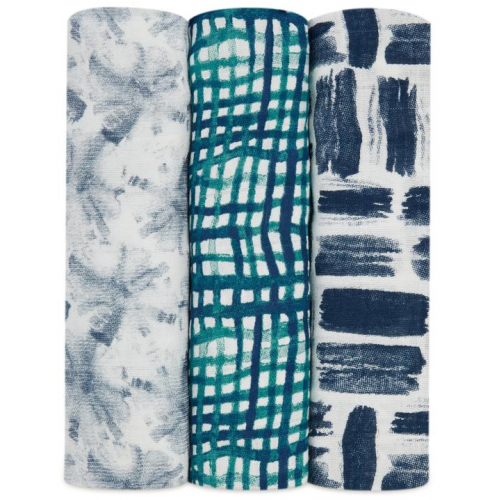 Aden + Anais 3-pack silky soft swaddles. Luxuriously soft: viscose made from bamboo. Versatile: works as a swaddle, stroller or nursing cover, burp cloth, tummy time blanket, changing pad cover and more. Breathable: helps reduce the risk of overheating. Comfy: single layer of soft bamboo muslin.